Finally, Kylie Jenner has separate with her famous lip filler, and fans are adoring the outcomes. She deflated pout in a sot with newly engaged Hailey Bladwin, showing off her natural. And one of her fans remarked, “she looks like the old Kylie here idk why,” she revealed her fake lips no more. “Ohh my goddd Kylie you look so beautiful the way you originally are now don’t change you are sooo gorgeous with the natural you yassss slay,” gushed another. And third wrote, “Looks far better!” While other begged never to go back. 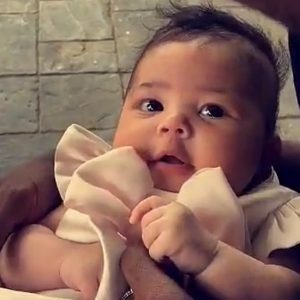 It comes only a day after Kylie admitted that she hates her shape of lips, with the reality star excited that her baby daughter Stormi Webster hasn’t inherited them. Kylie first fessed up to having fillers in 2015 in the wake of going under pressure from her sisters, to tell the truth.